3 Drops. Happy Dog. Healthy Mouth. 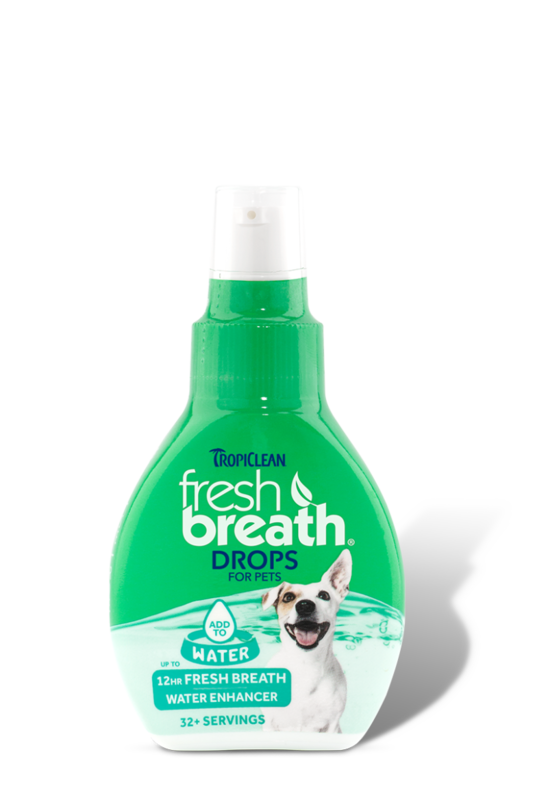 TropiClean’s Fresh Breath Drops keep your pets’ mouths healthy and their breath fresh. 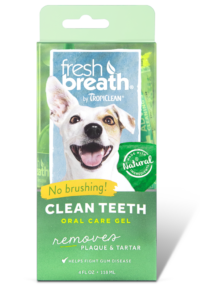 Developed with natural ingredients, Fresh Breath Drops help turn bad dog breath into fresh breath while providing essential daily oral care. 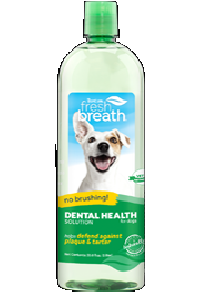 Add just 3 Fresh Breath Drops to 16 ounces of water to give your dog fresh breath, a healthy mouth, and happy moments. Other TropiClean solutions to keep your pet smelling fresh! 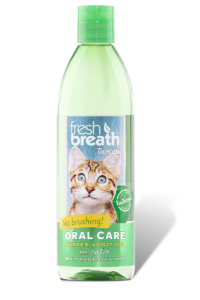 Thank you for the kind works regarding our Oral Care Line. Keep out of reach of children. 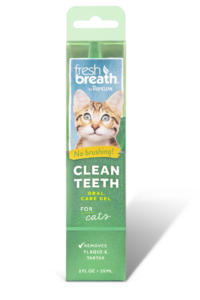 Helps defend against plaque, leading to fresher breath. Shake Well. Simply add three (3) pumps to your pet’s water bowl (approx. 16 oz/473 ml) at every refill.